NBA 2K13 Isn't the First to Feature the Dream Team. This Genesis Game Is. Not only that, Team USA Basketball featured all of the Dream Team's 12 players, including Scottie Pippen, who won't be in NBA 2K13 because he and 2K Sports couldn't reach an agreement on his appearance. 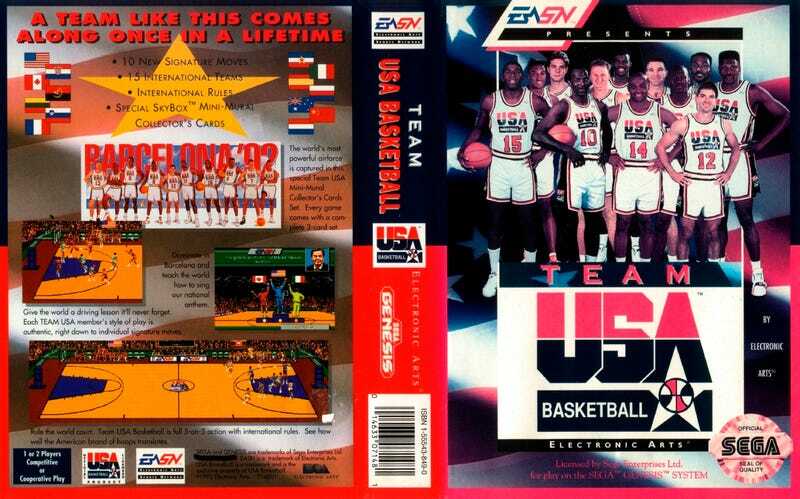 It's remarkable that 1992's Team USA Basketball by Electronic Arts—then under the "EA Sports Network" label—is the only video game with a complete Dream Team roster after all these years. Especially when you consider that the 1992 United States National team added its final two players—Clyde Drexler of the Portland Trail Blazers and college player Christian Laettner of Duke, on May 12, 1992. This game came out later that summer. Granted, Electronic Arts didn't face expectations of signature animations or photorealistic player modeling in that time, or voice commentary that acknowledged each player by name. Then again, at the time there was no such thing as downloadable content or title updates pushed out over Xbox Live or PSN.